They’re cute, tiny and fluffy – the Bichon Frise makes a great pet and teacher. Loyalty is royalty. The Bichon Frise was considered a popular toy dog in the French Court but sadly at one point in history people stopped caring for them altogether and they became “common dogs,” running the streets. Yet, they never stopped loving humans. When you’re happy – show it! 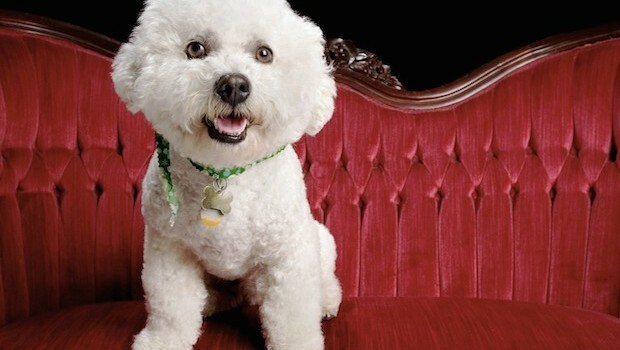 Anyone who’s ever been around a Bichon Frise knows that they are full of playful energy and always up for fun and games. Play daily. Bichon Frise’s have lots of energy, are very playful and they get along with children and other animals. Protect those you love and those that love you. Bichon’s love their humans and will do everything they can to keep them safe. The Beatles were right: love IS really all you need. These adorable fur balls are just brimming with love which makes them perfect for therapy work with kids and the elderly. Support those who need a friend. The Bichon Frise isn’t known for holding a grudge, they are happy for every moment you spend with them and they love it when they have your attention. That’s what makes them such great companions! Learning new tricks can get you far. Just ask Bichon Frise Lacie, star of the Maltese Puppy. Whenever you offer her a delicious treat she’s ready to learn a new trick.